Core SWX XP-DV-S48 Adapter cable 48"
The Core SWX XP-DV-S48 XP model DV/HDV cable works with Sony DV/HDV camcorders. The XP model cables can be used in association with a Core SWX accessory or used solo with a PRO-X series lithium ion battery product. This cable features a regulated 7.4VDC mock battery end for a HDV/DV camcorder with an inline female P-Tap connector for 12-14.4VDC input. This device offers red and green LED indication to display status of battery power. Box Dimensions (LxWxH) 5.75 x 3.5 x 2.25"
XP-DV-S48 Adapter cable 48" is rated 4.0 out of 5 by 1. Rated 4 out of 5 by Steve from Great DC-DC Converter We need to be able to run our Sony HVR-Z7U cameras off large capacity, 12VDC batteries. 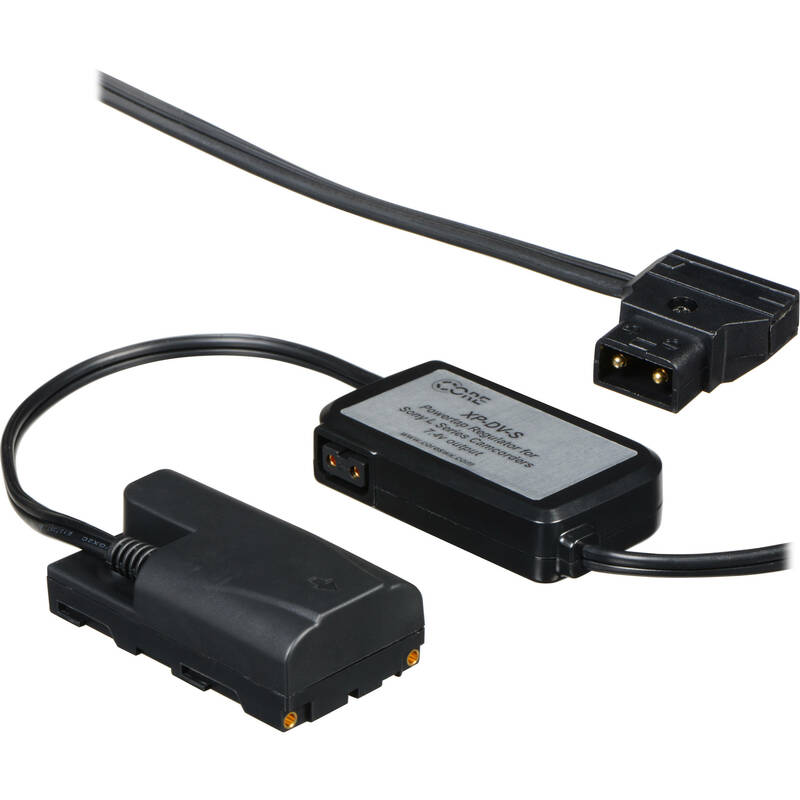 Finding a purpose built 12VDC - 7.6VDC converter was not easy, but the Switronix device works very well, and is specifically built for that series of Sony cameras. The one thing I would add is some sort of battery level indicator. So far we have not exhausted the battery, but we have no idea how much charge is left, essentially running blind.